Six years ago my husband and I adopted 2 shepherds through GSROC. 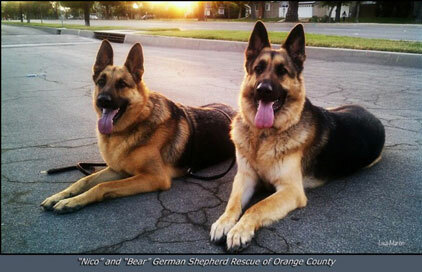 Bear formally known as “Max II” in 2008 and Nico formally known as “Boone” in 2009. We truly believe in your organization and what you promote regarding the adoption program. Thank you GSROC and your dedicated volunteers!